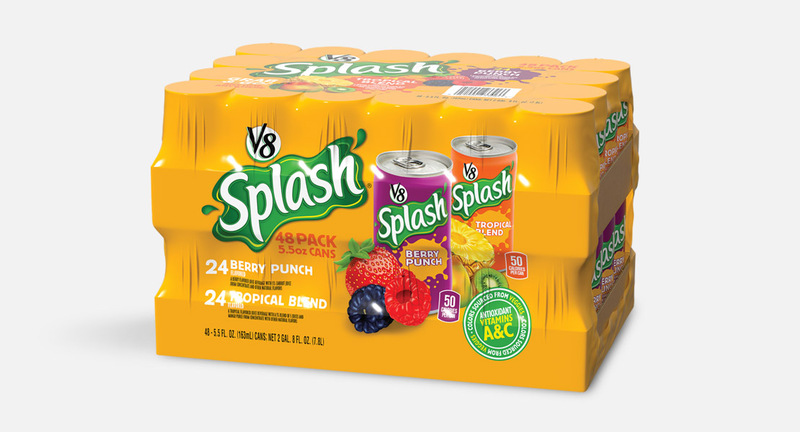 We were approached to take the existing branding of V8 Splash and adapt it to a 5.5 oz can. 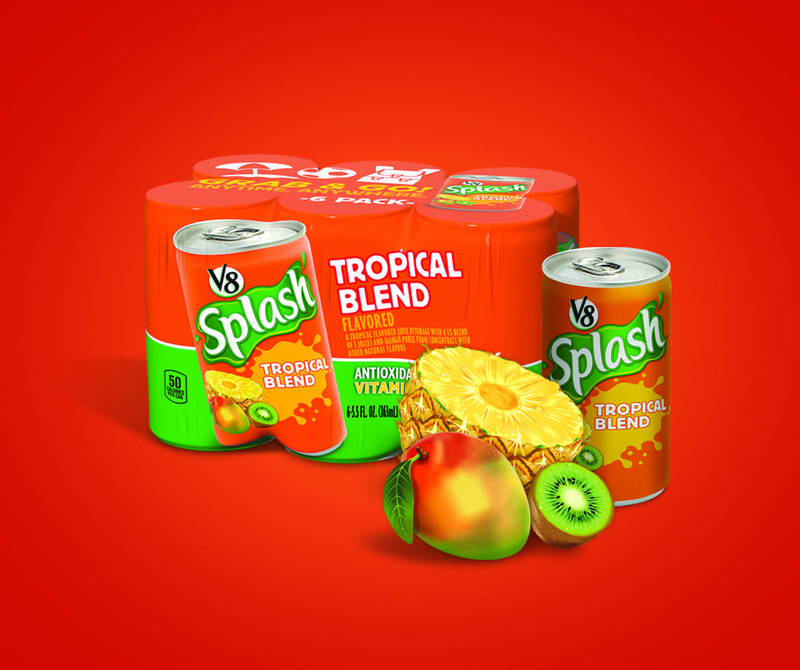 Production limitations worked in our favor, allowing us to strip back the can design and create a new look and feel for these items. 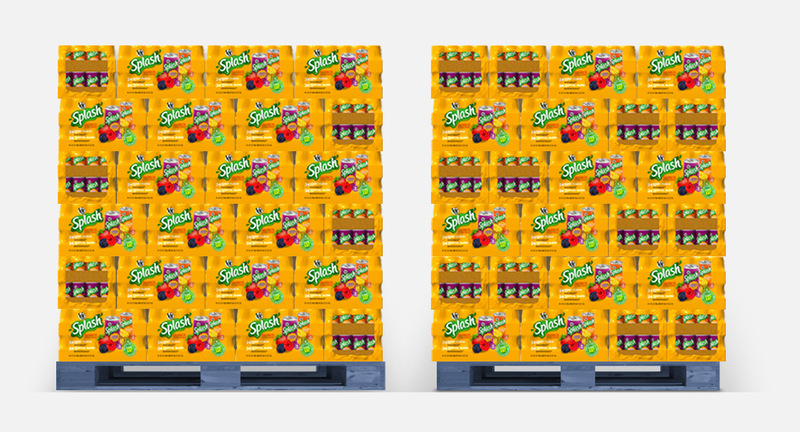 We started with the can, and quickly followed with designing the retail 6 pack. 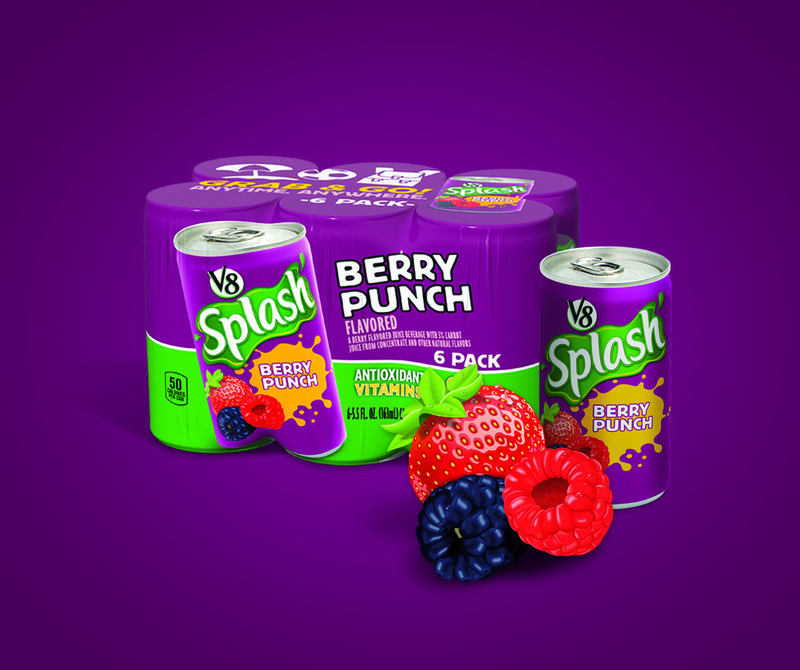 The idea behind the multipack was for a quick “grab and go” drink for school, camp, lunch – you name it! 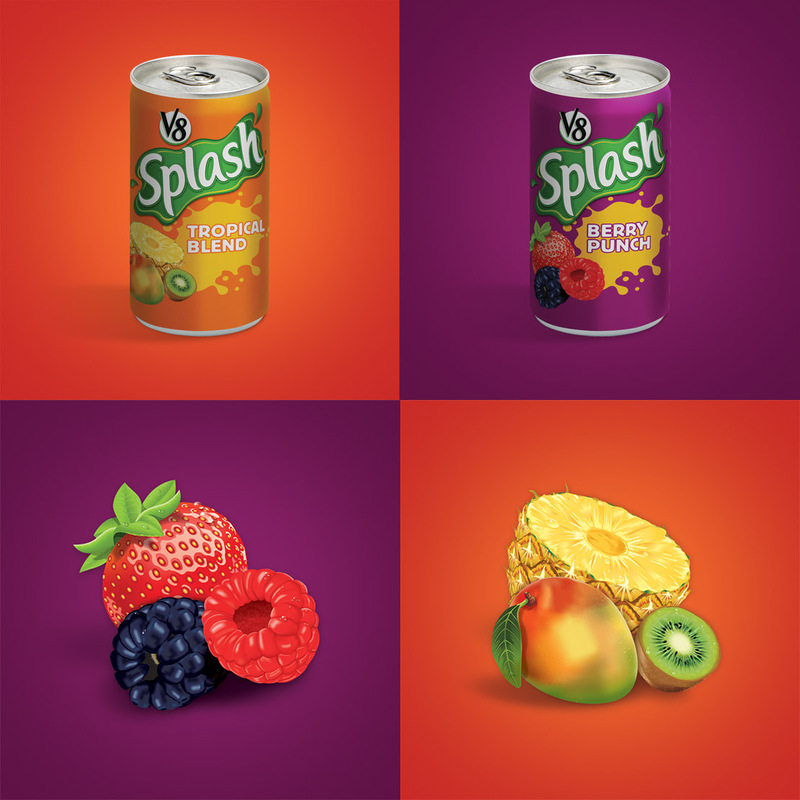 We used simple graphics and really let the brand and varieties do the heavy lifting. We then further extended the designs into a multi-pack at club.